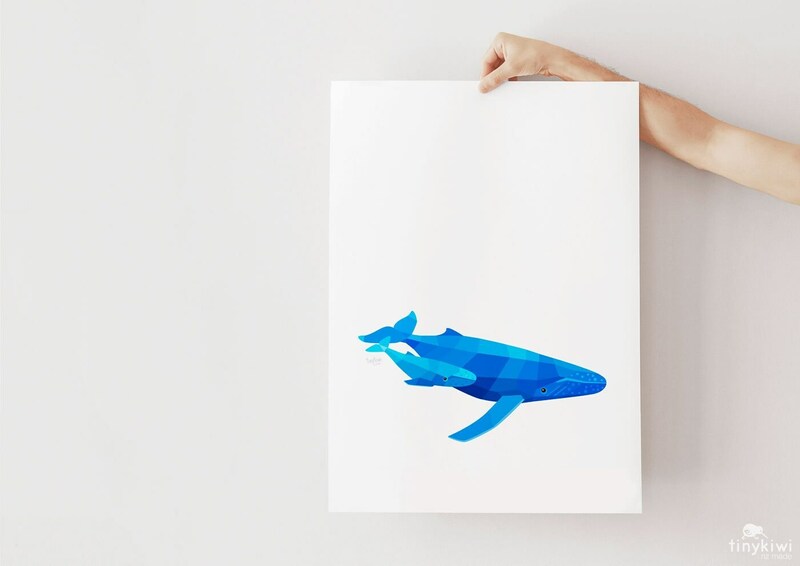 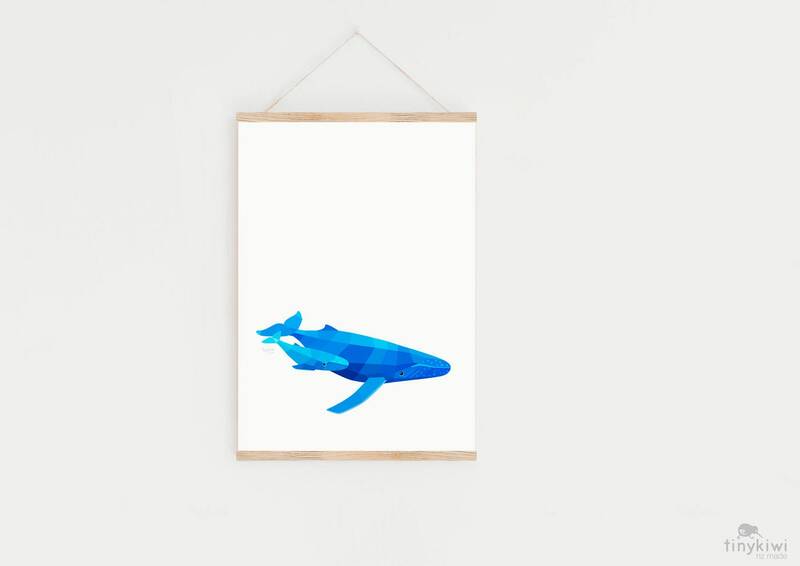 A geometric art print of a whale and her baby. 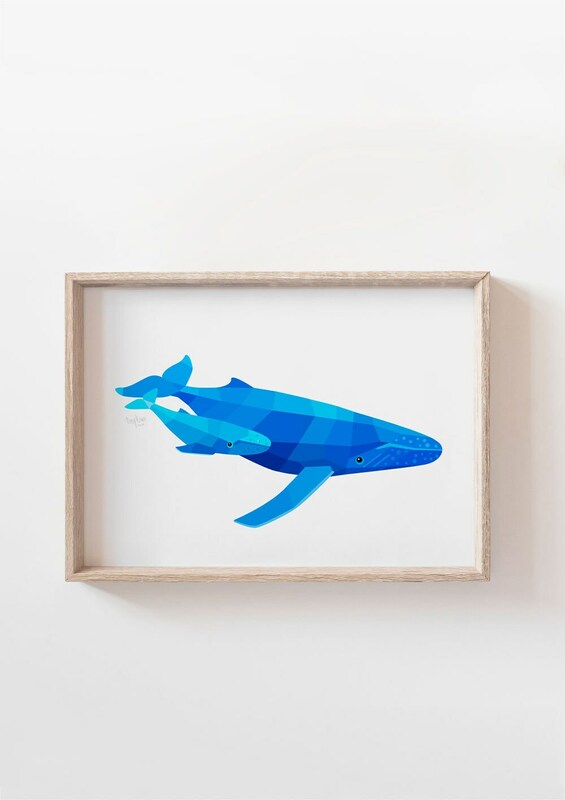 These fascinating creatures measure from nose to tail 12–16 m! 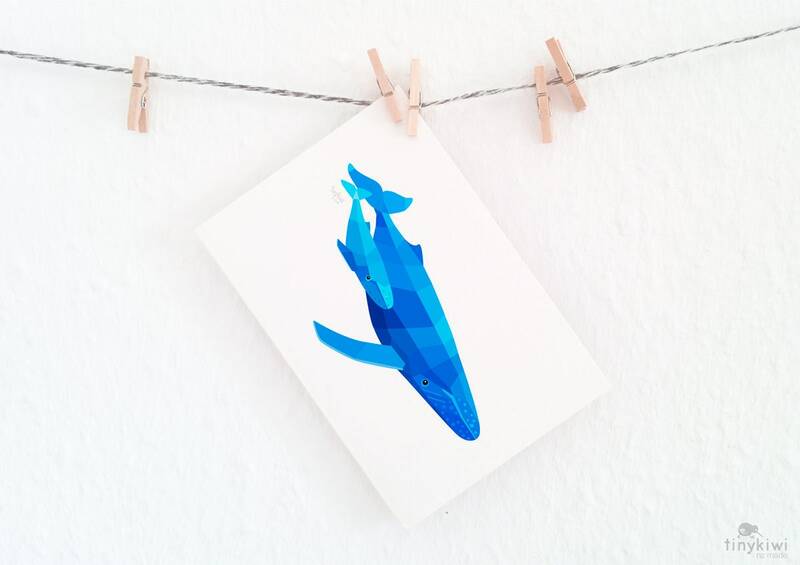 Once hunted close to extinction, today these beautiful whales need our attention, love and protection. 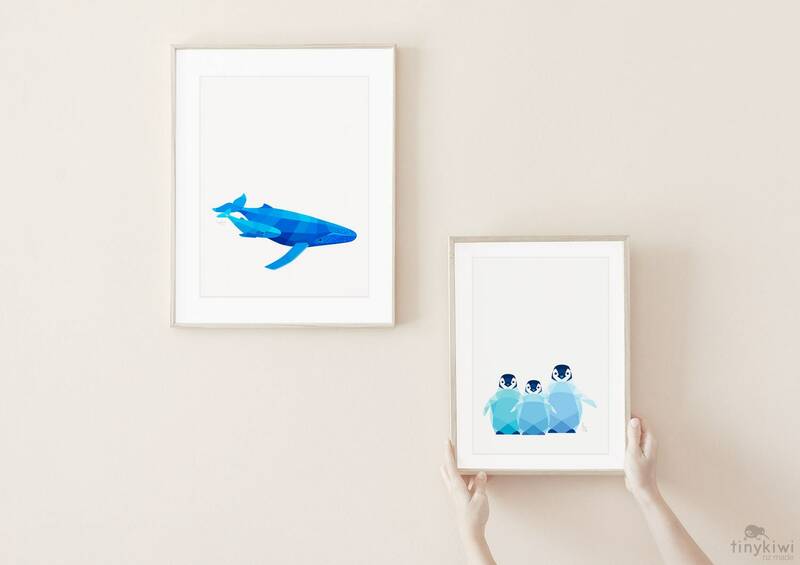 - Each print is professionally printed by us on 310gsm fine art paper with a beautifully soft surface texture.